Categories: File & Disk Management, Mobile Utilities. Tag: Digiarty Software. 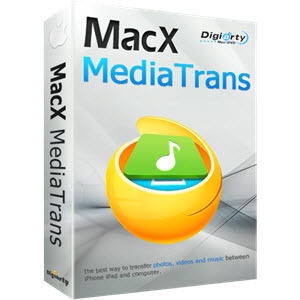 MacX MediaTrans is an ultimate iPhone iPad iPod content manager. 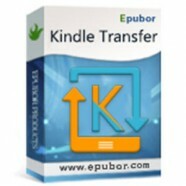 It offers the best way to transfer photo, video & music between iPhone iPad and Mac. Your bulky 4k videos and live photos are maxing out the iPhone storage, your chaotic songs are messing up the music library, and your HD recordings are running into format issues, yet all the files are your most valued possessions. 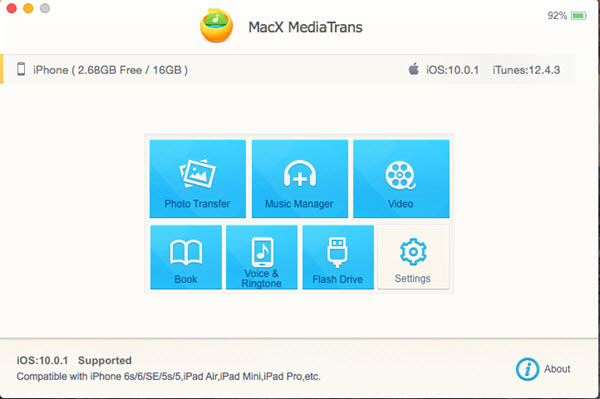 MacX MediaTrans has your back, bringing you a fast way to manage, backup and transfer your iOS mobile data, e.g. videos, photos, music, ringtone, ebooks, Voice Memo, iTunes U, Podcast and more. No more space woes, media dumping or cluttering. Perhaps it’s a piece of rock music for wedding, a playlist of relaxing songs for jogging, or an album of lullabies for baby’s bedtime. 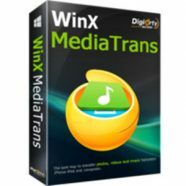 MacX MediaTrans matches your every mood, helping to manage your iPhone iPod music, with albums, artists, genres, etc under your control. To iPhone iPad: Never mind the format. Auto convert MKV to iPhone iPad. Auto Rotate: Auto rotate sideways video to make it the right way up. Two-way Sync: Import & export movies, 4k videos on iPhone ipad. Backup & transfer cherished memories, from shots of the beach, an epic landscape you’ve captured, to an image of a sunset. All made possible with MacX MediaTrans.